Today, the body of media evidence that we have accumulated shows precisely the opposite. In particular, the bulk of BBC output on Iraq can be characterised by one word: ‘Newspeak’. In 2003, a Cardiff University report found that the BBC ‘displayed the most “pro-war” agenda of any broadcaster’ on the Iraq invasion. 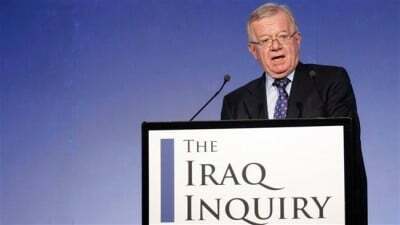 Over the three weeks of the initial conflict, 11% of the sources quoted by the BBC were of coalition government or military origin, the highest proportion of all the main television broadcasters. The BBC was less likely than Sky, ITV or Channel 4 News to use independent sources, who also tended to be the most sceptical. The BBC also placed least emphasis on Iraqi casualties, which were mentioned in 22% of its stories about the Iraqi people, and it was least likely to report on Iraqi opposition to the invasion. These include all presenters, correspondents, editors, output editors and “anyone who can be considered a ‘gatekeeper’ of our output”. We now know that the BBC and other British media were used by MI6, the secret intelligence service. In what was called “Operation Mass Appeal”, MI6 agents planted stories about Saddam Hussein’s weapons of mass destruction – such as weapons hidden in his palaces and in secret underground bunkers. All these stories were fake. The Cabinet in March 2003 knew a great deal about the conspiracy to attack Iraq. Jack Straw, later appointed “justice secretary”, suppressed the relevant Cabinet minutes in defiance of an order by the Information Commissioner to release them.